The Ozone Buzz Z5 could only be what the Buzz series has always been: an accessible wing which offers a beautiful balance of comfort, forgiveness, and stability for entry-level pilots and at the same time precise handling and performance potential that will reward more advanced pilots. Designed with the same goals, without pushing the edge of the box. Improving the Ozone Buzz Series is a difficult task, but one that we devote a huge amount of resources to. It is consistently one of the most popular wings in our range and appeals to perhaps the widest range of pilots. For each Ozone Buzz, we strive to incorporate cutting-edge performance technology into the most comfortable package possible. The Buzz series represents the ultimate in balance and True Performance. Higher performance wings in our range become more specialised, and the most basic wings are more focused on passive safety. The Buzz series could be considered the ultimate compromise, except for the fact that there are no compromises in its design; there is only what we see as being the perfect balance between XC performance and solid comfort. We were able to further optimise the sail and add 3 cells without the addition of extra lines, thus increasing sail cohesion and precision without additional drag. We used improved software to generate the sail which resulted in improved airflow for each single rib, thus reducing profile drag and vortex. The Ozone Buzz Z5 is generated with a higher arc than previously. As a result, tension in the wing is increased for a better feel and better authority in the turn. Ozone SharkNose profile: On the Ozone Buzz Z5 you immediately feel the benefit in the progressivity in the turn and increased forgiveness in deep brake input compared to its predecessor. 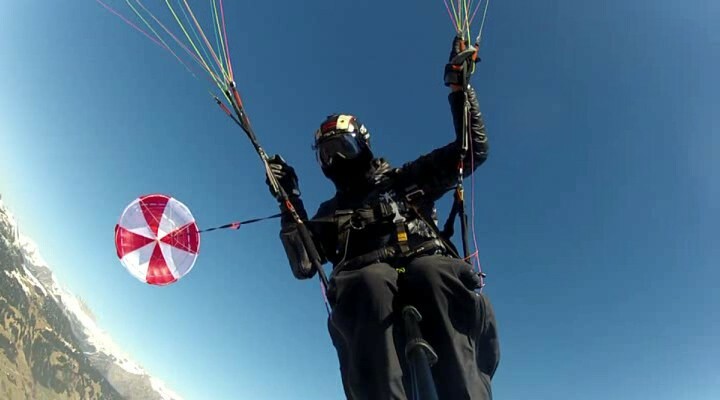 This also allows the Z5 to achieve a higher level of usability and solidity in accelerated flight. Inflation has been improved with a quicker rise and less effort required. We have also improved the surface of the leading edge with the use of double 3D shaping. The Z5 is made with a combination of sheathed riser lines and unsheathed upper galleries, similar to the Z4. By using a more advanced material for the riser lines and optimising line tension, we have managed to reduce the overall line drag by 13%. The performance increase is up to half a point better than the Buzz Z4 at all speeds. The risers are fitted with super smooth Ronstan ball bearing pulleys which make using the speed bar a joy. With the increased stability and performance at speed, the Z5 is even more of an XC machine. Despite the addition of 3 more cells, we managed to keep the weight of the Z5 as low as the Z4 was. 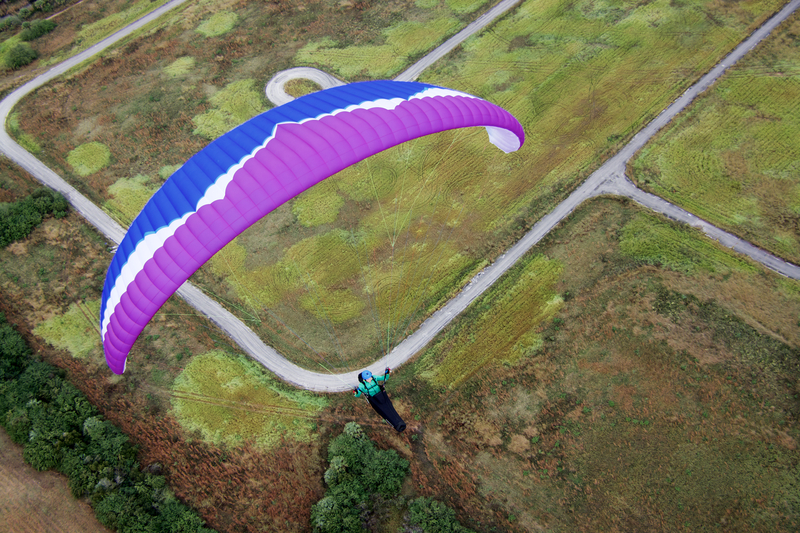 The Ozone Buzz Z5 has now received the performance-enhancing design features that have pushed the latest iterations of Rush, Delta, Mantra, and Enzo series wings to the top of their class. Most notably, the Z5 features a totally new SharkNose profile and leading edge. Proved to be one of the most significant recent technological breakthroughs, the patented SharkNose profile improves performance, solidity and handling characteristics at all angles of attack and airspeeds. Aerodynamically, the Buzz Z5 profile and sail are very clean. It has been designed with the latest generation software to generate cells that are better aligned to the airflow, reducing profile drag and wingtip vortices. The sail has been further optimised with double 3D shaping for a cleaner leading edge and three extra cells for a better top surface without the addition of extra lines. A new internal structure and optimised line layout have allowed these three extra cells to be added without additional lines or increased wing weight. The Ozone Buzz Z5’s aspect ratio remains the same. Increasing aspect ratio is a simple method of increasing performance, but leads to significant compromises in passive safety. Therefore, we do not believe in pushing this important design consideration. Instead, we have focused on reducing sail drag, optimising the line layout, reducing the overall line length, and creating newly-shaped SharkNose cell openings to push the Ozone Buzz Z5’s performance to the top of the category without compromising safety. The performance-enhancing features of the Z5 can be considered “free upgrades”, as they increase glide and speed without reducing passive safety. The Ozone Buzz Z5 is designed to fly distances, and ball bearing pulleys in the accelerator system operate in a smooth and light manner for comfort on long XC flights. The top speed performance has been significantly improved by 0.5 LD at the same speed over the Z4. 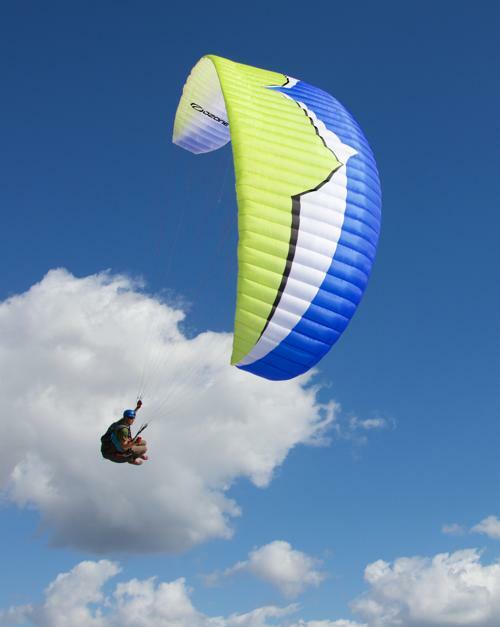 Above all else, the Ozone Buzz Z5 is easy and comfortable to fly. The handling is intuitive, fun, and agile, with a progressive and precise feel. The Ozone Buzz Z5 is highly compact, with perfectly coordinated roll and yaw in the climb. In active air, the feedback from the wing is gentle and predictable; filtering air movements in an understandable way. All of these factors provide you with the confidence to progress. Launching is a critical part of each and every flight, and we have paid particular attention to the ground-handling characteristics of the Ozone Buzz Z5. It inflates smoothly, without overshooting in higher wind speeds. 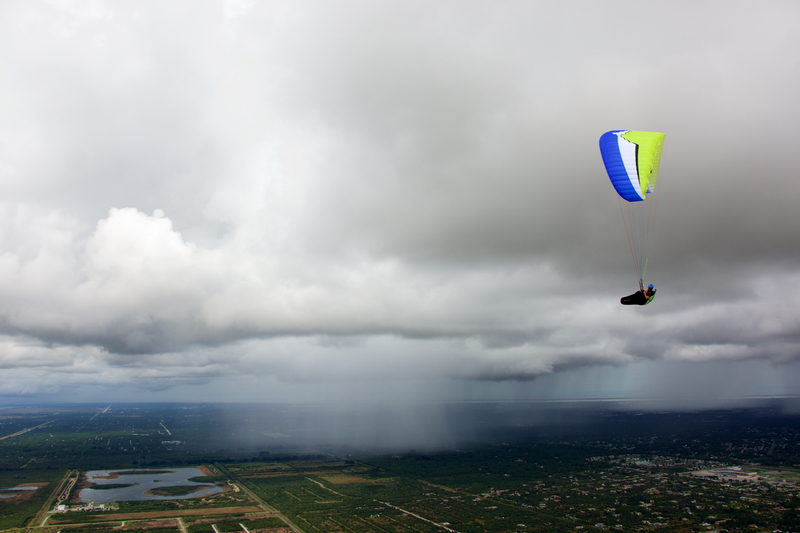 Even in zero wind conditions, there is no tendency for the wing to hang back. In stronger winds it inflates progressively with less tendency to “shoot up” and pull the pilot off their feet. The excellent launch behaviour is due in part to the SharkNose profile, which outperforms the behaviour of traditional leading edge designs as the wing transitions through the inflation and launch process. In the air, the Ozone Buzz Z5’s turn is more progressive, allowing you to centre lift and tighten the turn with higher precision and spin/stall resistance. 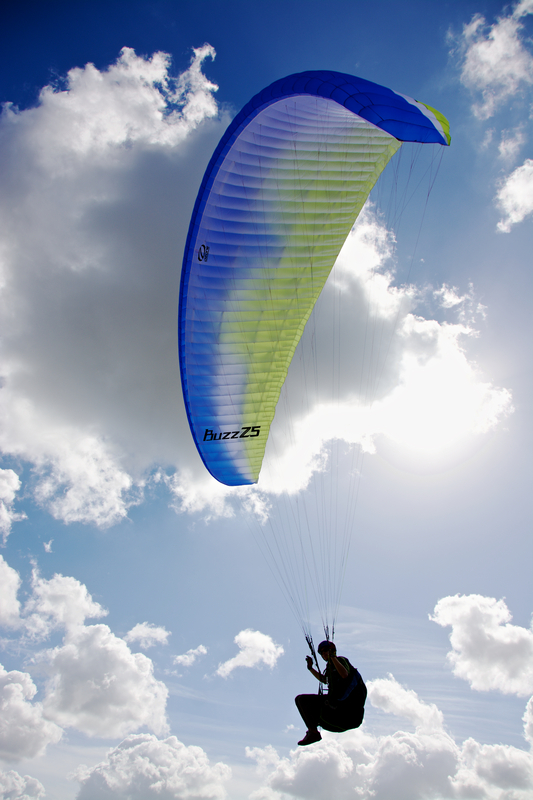 Overall, the Z5’s sail has more cohesion and the profile is more stable in active air compared to all previous Buzz wings. The Ozone Buzz Z5, like its predecessor, is suitable for a wide range of pilots from talented beginners to the most experienced. It is an ideal choice for pilots who fly, or intend to fly approximately 30-50 hours per year, or for experienced pilots who are searching for a wing with high levels of passive safety and comfort in the Intermediate Class. The Buzz Z5 is available in six sizes, ensuring that each pilot can choose the perfect wing loading. The Ozone R&D Team - Dav, Luc, Russ, Fred, and Honorin - fly every day we can. We enjoy flying and testing the entire range of wings, but the Ozone Buzz Series is one of the most challenging and fun to develop. The challenge lies in meeting the demanding design goals of balancing performance, comfort, ease of use, and safety, without compromise. The Ozone Buzz Z5 represents a special combination of features that have been blended together in a unique manner to achieve what we believe to be an impressive balance. It is a wing with a playful character that any pilot of intermediate ability or higher will enjoy flying, and is a solid and dependable base to progress with safely. 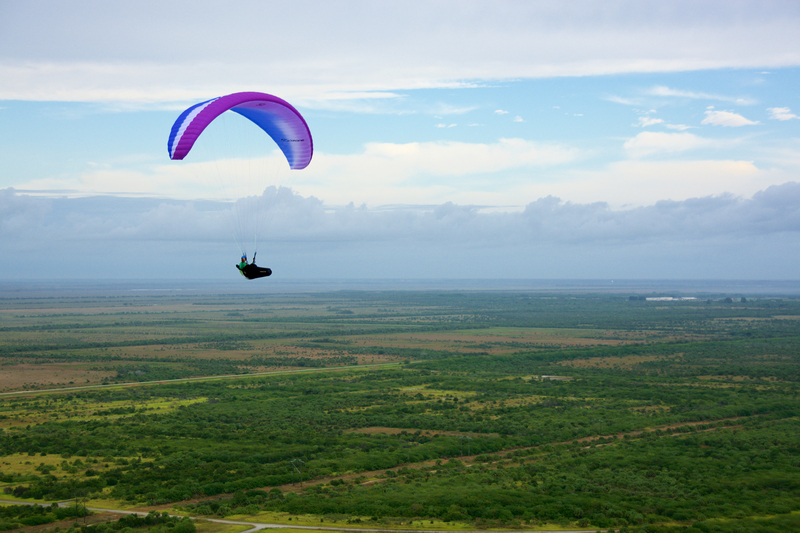 We hope you have as much fun flying the Buzz Z5 as we have. Fly safe, from all the Team.